The Abwoon Network website shares the work of Dr. Neil Douglas-Klotz and his colleagues and students on Native Middle Eastern spirituality, peacemaking and ecology, including work on the Aramaic words of Jesus, Hebrew and Native Middle Eastern creation mysticism and Sufism. The website is a collaboration between the Edinburgh Institute for Advanced Learning in Scotland, UK and the Abwoon Resource Center in Columbus, OH, USA (see “About Us“). 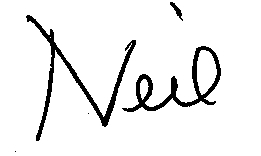 Neil is best known for his work on the Aramaic Prayer of Jesus (“The Lord’s Prayer”), shared both in his books as well through the body prayers with music that have spread around the world in the past 32 years (a form called the Dances of Universal Peace). See the Library menu link above to hear about the background of the Aramaic prayer, to see the prayer danced and performed as a personal body prayer and to learn the prayer in Aramaic. Welcome to our new website, which celebrates the worldwide spread of the Aramaic Jesus work since my part of it began in 1982! The Library and Video links share articles, academic papers, directions to Dances of Universal Peace, video clips and audio podcasts from my recent lectures and seminars. All of these are free to download. If you feel moved to make a donation to help edit more audio and video and build the library, you will also find a link there to do this. The Online Store shares information about my various books as well as links to purchase them. The opening page offers suggestions for where to begin. This section also offers paid downloads of the full audio of several seminars, music/chant recordings, and links to longer audio courses from Sounds True. You will also find a page linking to online courses on the Aramaic Lord’s Prayer and the Aramaic Beatitudes. The Workshops section lists a calendar of my current retreat and seminar schedule worldwide. In the future it will also list offerings based on my work by colleagues and students. The News section shares an online blog from three sources: the Abwoon Resource Center in Ohio (which helps develop resources worldwide), the Abwoon Network of teachers who are inspired to their own offerings of this work, and my personal blog. If you are new to the site, below you will find two introductory videos–one on Jesus’ Aramaic worldview and the other a short guided meditation based on it. First, take a minute to listen to and breathe with the Aramaic prayer of Jesus (the “Lord’s Prayer”). Share a breath of this peace and life energy wherever you are–at work, at home or on the road through life’s changes. Neil Douglas-Klotz – The Sacred Is All Around Us from Sounds True on Vimeo.